Verna is an Agile Transformation Specialist as well as holder of the Guinness World Record for the Deepest Dive by a Woman on Scuba. She uses her experience getting to 221-meters and the world record to reframe Agile and the transformation that individuals and teams go in. In her words, Agile is more than a process we apply! It is an exploration into exceptional performance, a journey that we take that requires us to change how we think about the world and so how we engage with it. Within the Agile world, her focus is on blending Flow, Visualisation & Leadership to cultivate self-learning, autonomous teams who are able to thrive and deliver exceptional Agile Performance. 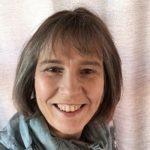 Verna has 20 plus years experience in IT and has been exploring the world of Lean Agile since 2014. She is an avid speaker with a TedX talk on her diving (Live with Dare) and enjoys speaking & consulting on shifting into Agile using the spirit of exploration (flow, visualisation & leadership) with a 3 day workshop that blends these concepts, grounding the learning in a mindset shift that creates a long lasting change. She lives in South Africa and if not coaching, is taking herself and her land cruiser into the wilds of the Okavango.